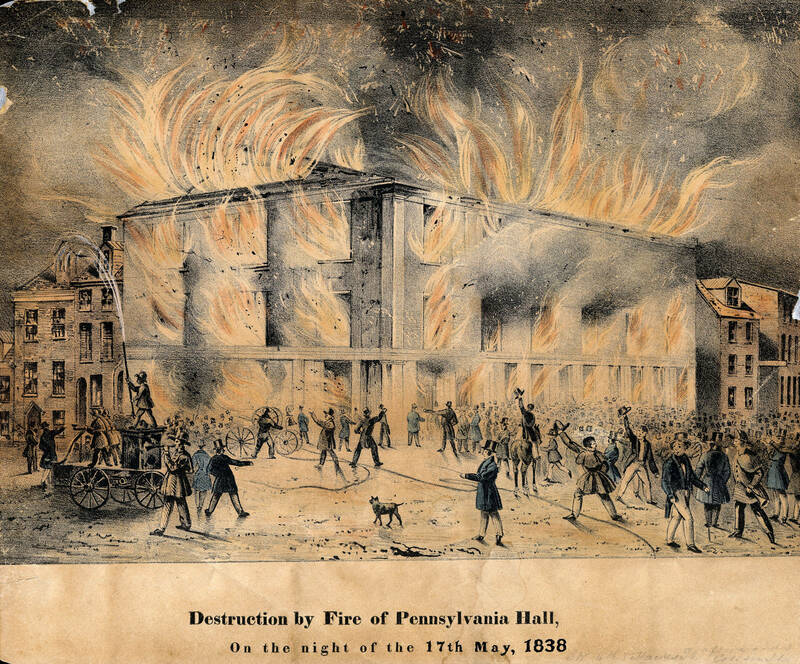 “Destruction by fire of Pennsylvania Hall. On the night of the 17th May, 1838.” Philadelphia: 1838. Constructed from 1837 to 1838 as a meeting place for local abolitionist groups, Pennsylvania Hall in Philadelphia was set on fire and destroyed by an anti-abolitionist mob just three days after dedication ceremonies on May 14, 1838.